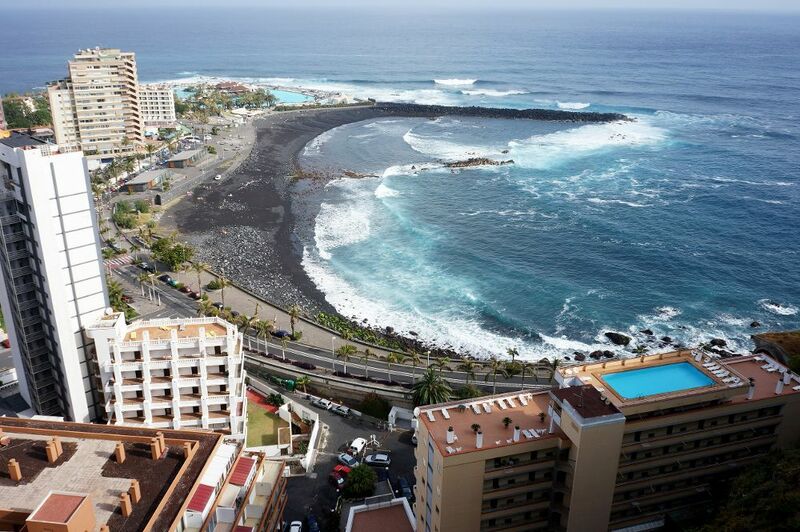 Puerto de la Cruz (Tenerife) and is the destination of more economical beach this summer with an average of 72 euros per night, according to the price finder site Trivago placing the municipality of Santa Eulalia in Ibiza as the most expensive with an average price of 360 euros. The data is extracted from tHPI study, the monthly survey of hoteliers average price per night for countries, regions and cities of Spain and Europe drawn up by the search. The data reveal that the average price of these destinations stands at 167 euros increasing by 8.58 percent compared to August 2015. Puerto de la Cruz is the cheapest destination this month: stay in this Canarian resort costs an average of 72 euros per night in double room, 16.13 percent more than last year. Beside her, the northern destinations also offer competitive prices, for example, Portonovo has an average price of 84 euros; Ribadeo, 87 euros; or Sanxenxo, 89 euros. Also on the Cadiz coast destinations like Barbate (100 euros); Valencia, Torrevieja (116 euros); or Catalonia, Blanes (123 euros); They stand out as being among the cheapest. The destinations of the Balearic Islands and Andalusia appear among the most expensive being Santa Eulalia (Ibiza) which offers the highest average price, 360 euros per night, plus an increase of 5.57 percent over August prices last year. Below, there are other destinations in the Balearic, Sant Antoni (192 euros); and Andalusia, Zahara (246 euros). Popular destinations in Hondarribia (225 euros), Oropesa del Mar (215 euros) and Salou (182 euros), also have a higher average price. Compared to August 2015, the destinations that have experienced the largest price declines are Barbate and Altea, down 22 and 19 percent, respectively.